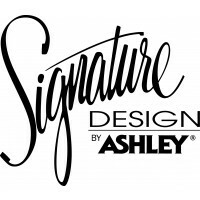 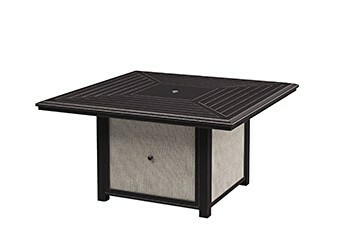 Alfresco living has never been so stylish and carefree. The slatted fire pit table looks like slightly distressed wood, but is actually crafted from durable, weather-resistant aluminum for years of enjoyment. 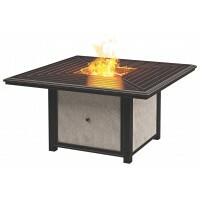 The propane fire bowl conveniently ignites at the push of a button. 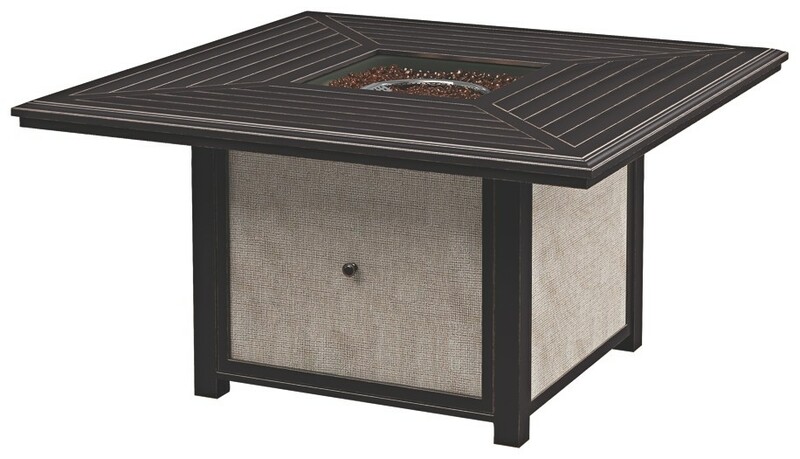 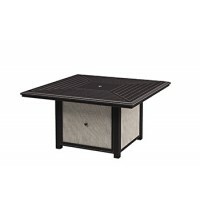 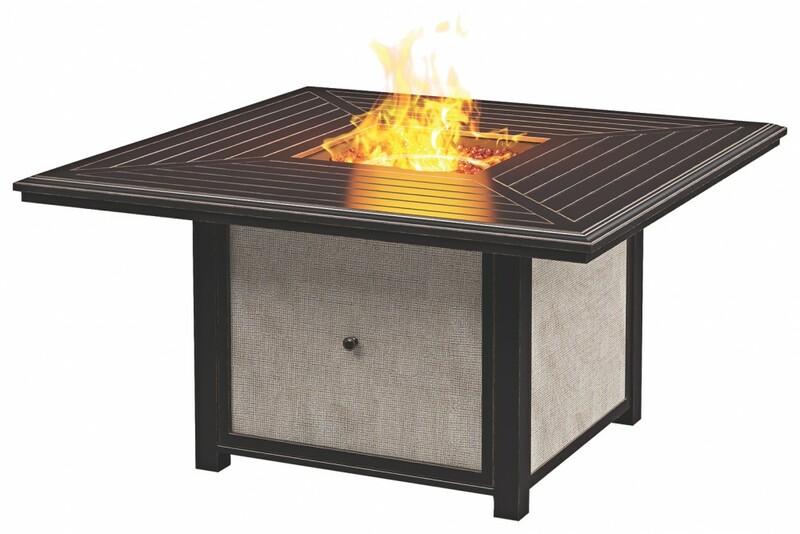 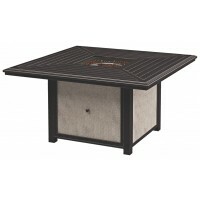 The included burner cover transforms the fire pit into a coffee table, perfect for all your entertainment needs.